The Bolero cocktail features subtle notes of apple and pear. Note that the younger your Calvados is, the stronger those notes will be. This is not your typical sweet fruity drink, but it’s very easy on your palette all the same. 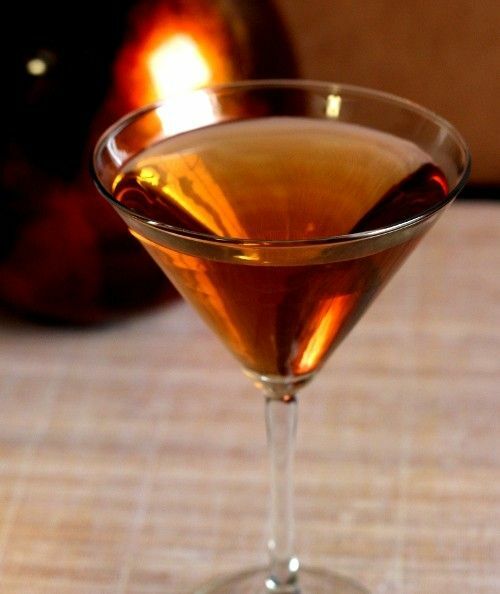 The rum weakens the fruit flavors, and the dash of vermouth just adds a hint of spice to the drink. This is a drink that goes well with a meal. Fill a mixing glass with ice and pour in the ingredients. Stir until chilled, and strain into a martini glass.